Why the Kirst Konverter is the best cartridge conversion cylinder that you can buy. All Kirst Konverters carry a full Lifetime No B.S. Warranty. Our centerfire Konverters can be dry-fired without damage. They have been range tested by Shootists for over 2 decades. They are all designed to be simple, sturdy and reliable. None of our breech plates have to be screwed to the frame. Kirst Konverters are straight-line bored, not angle bored. Made from strong, heat-treated 4140 steel or stainless steel. CNC machined, blued or polished, and assembled in the U.S.A.
No F.F.L. paperwork is required to purchase one from us. Double or triple the calibers of your percussion revolver. Increase your shooting time while decreasing loading time. Kirst offers matching ejectors for many of our Konverters. 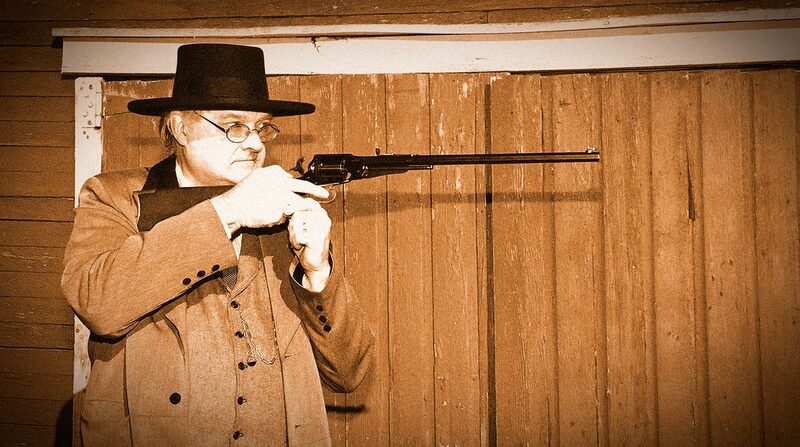 Howdy, my name is Walt Kirst; I invented the Kirst Cartridge Konverter™ back in the 1990’s for folks who were interested in shooting Civil War and Old West replica firearms, and for those who favored a percussion style revolver that could shoot centerfire ammunition. 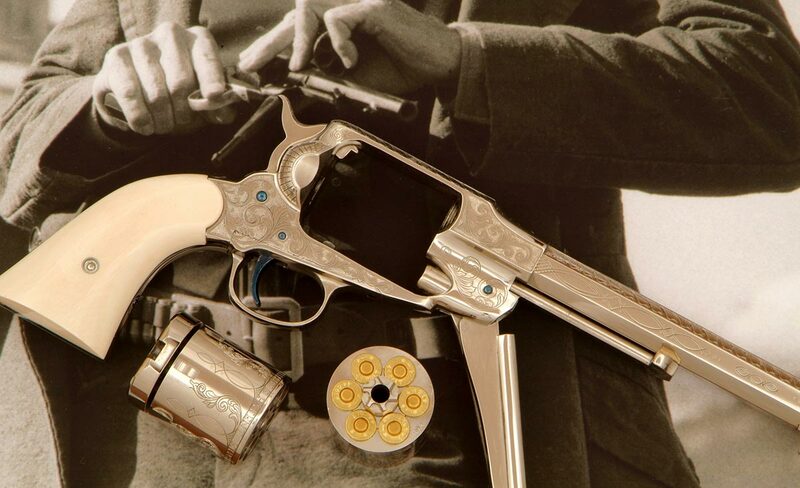 The Kirst Konverter allows you to fire cartridges with your Cap & Ball revolver, just like the original conversion revolvers commonly used to settle the western frontier. The Kirst Konverter also gives you the option to switch from Cap & Ball to cartridges by simply changing cylinders. Kirst Konverters are precision CNC machined from 4140 steel and heat-treated for strength and durability by skilled craftsmen right here in the good old USA. Kirst Cartridge Konverters™ are rated “For Black Powder or equivalent loads only,” which includes the smokeless, light target loads commonly sold for Cowboy Action Shooting. 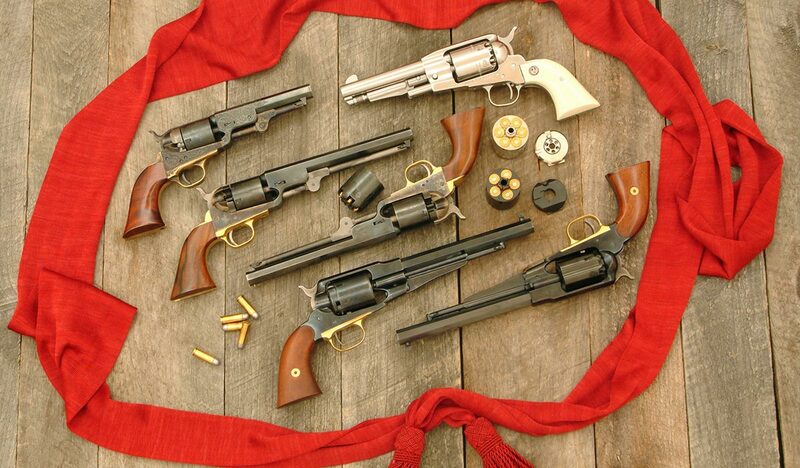 I invite you to peruse all the pages of my website to see if you might find a treasured addition to your Civil War and Old West gun collection.